Cycling became popular in Canterbury in the late 1800s. 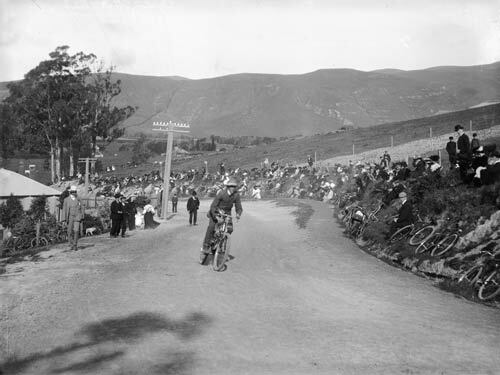 This race near Christchurch in the early 1900s is actually for motorised bikes. However many of the spectators obviously came to the race on push-bikes, judging from the number on the side of the road.